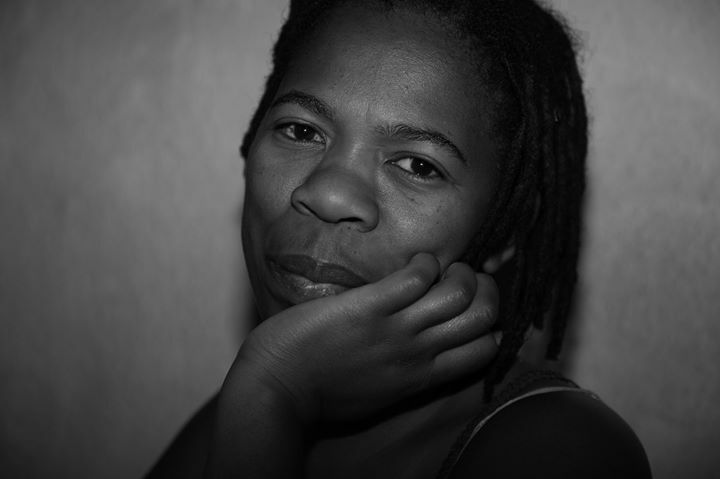 Born in Arusha, Tanzania and raised in Germany, Nzitu Mawakha (1973-2014) was a photographer and active member of the Initiative of Black People in Germany (Initiative Schwarze Menschen in Deutschland (ISD-Bund) e.V.) and Phoenix e.V.. Mawakha worked on diverse projects since 1998, including employment as an assistant to the theatre photographer Mara Eggert at the Schauspielhaus Hannover, and a period of engagement as a photographer for the exhibition »Superficial – Fragile Terrains in Glass«, which showed the latest work of the Finnish designer Anu Penttinen. Mawakha’s most recent position was as a team photographer for the “Homestory Deutschland” exhibition financed by the Federal Agency for Civic Education (Bundeszentrale für politische Bildung). The main focus of her work was to use her images to tell stories. Her book »Daima – Images of Women of Colour in Germany« , which is a collection of selected black and white photographic portraits of Black women, was published in 2013. In June and Juli 2014 Mawakha visited Hamburg and presented the exhibition »Daima«. Nzitu Mawakha passed away on August, the 8th 2014 in Berlin.